TLDR: DJs of Malta bring their local brand of electronic music to listeners around the world. The next adventure for the FRISKY Loves Series is a trip to Malta, where life is enjoyed to the fullest and the music never stops. A thriving electronic music scene offers opportunities to see DJs in a wide variety of venues, from giant clubs to small bars, each providing a unique experience and chance to discover something new. Taking that experience to the airwaves is a long list of Maltese DJs of various genres, ready to show the listeners around the world what makes their local scene so special. You’ll hear some epic progressive trance from Tenishia, some driving tech house from the Diplomatic Brothers, deep progressive house from Chris B, and much, much more. 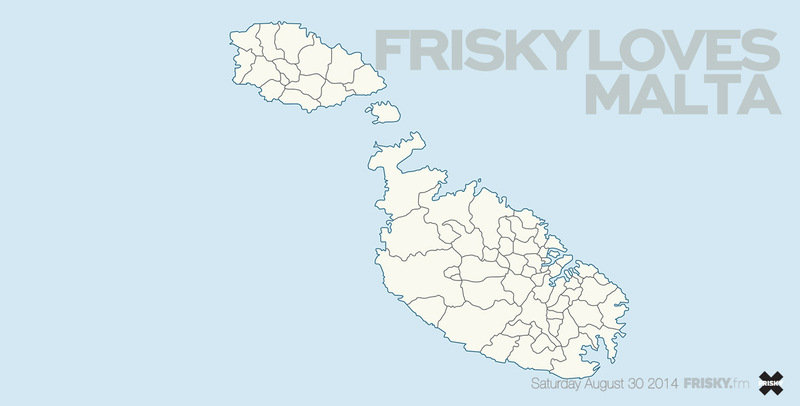 FRISKY Loves Malta features a long and diverse list of DJs who will be showcasing their finely tuned musical perspectives all day long. Beginning on August 30th at 7AM EST / 1PM Malta, tune in and hear for yourself what makes this country such a special place for electronic music.